The trials of Mitsubishi Motors continue as the company confirmed that the Diamante luxury sedan and Montero Sport SUV will both face the axe at the end of the 2004 model year. Automotive News also reports that the larger Montero will be discontinued after the 2006 model year unless Mitsubishi can find a way to come up with the cash for the retooling needed to allow the Montero to meet 2007 emissions and safety standards in the United States. 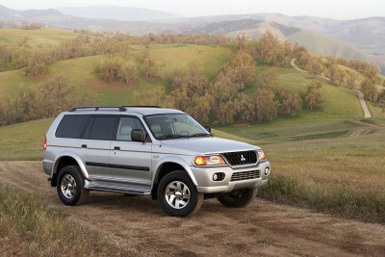 Mitsubishi�s sales have been down almost 27% during the first six months of this year compared the same period in 2003. The Diamante�s best sales year was over a decade ago in 1993, while the Montero Sport�s best year came in 2000. Both models now sell less than half of what they did in their best year. This announcement is only one in a string of bad news as the company announced a plan last week which will cut 1,200 jobs from its Normal, Ill. manufacturing plant. The layoffs are part of Mitsubishi�s plan to pull itself out of the financial instability that has been hanging over the company for the past year. The Normal plant currently employs around 3,100 people working in two shifts. That will drop to one shift by October when the 1,200 workers will be fired. According to Automotive News, Mitsubishi will also delay purchase of a number of engines from its joint venture with Hyundai and DaimlerChrysler. DC currently has an interest in both Asian carmakers, though it has rejected any further attempts to save Mitsubishi and is expected to divest itself of its interest in Hyundai. A Mitsubishi spokeswoman would only confirm the demise of the Diamante and Montero Sport, telling AN that the Galant GTS already duplicates the Diamante�s position in the market. The Endeavor SUV can be seen as a competitor to the Montero Sport, as well. A company source says the redesigned Outlander will not get the joint-venture-produced 2.4L 4 cylinder, only a 3.0L V6. 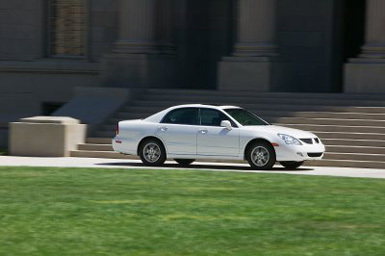 The Galant will also miss out on the 2.4L. The �08 Lancer will get it, though a 2.0L variant will have to wait due to budget cuts.